The porcupine made a clear choice for her pick to win! Photo: John Loughlin/Woodland Park Zoo. 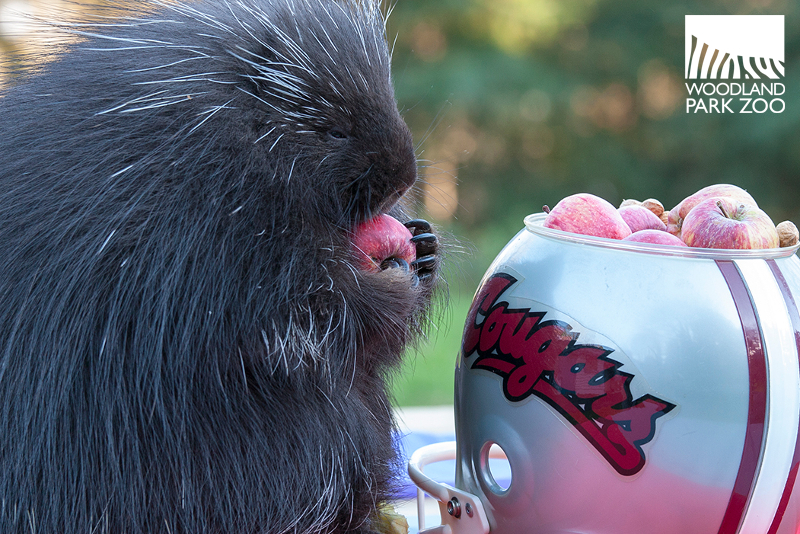 With the Apple Cup upon us, we asked apple-loving porcupine Skyáana to try her hand at predicting the winner of the big game. Faced with a choice of apples overflowing from a Husky and a Cougar snack helmet, the 1.5-year-old prickly predictor picked the WSU Cougars for the win! 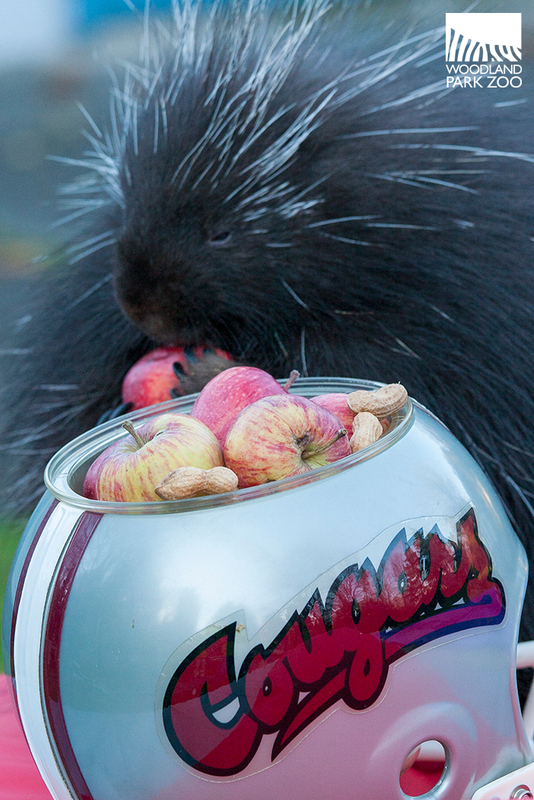 Video: Porcupine makes 2015 Apple Cup prediction. Here’s the play-by-play: The keeper calls the audible. Skyáana makes a rush down the field. She drops out of the pocket and runs a naked bootleg! She’s down to the 40, the 30, the 20, across the 10 yard line, into the Cougars end zone! Touchdown, Cougars!!!! Are you kidding me??!! Holy apples, I don’t believe it!! Photo: John Loughlin/Woodland Park Zoo. As she went for a second apple from the Cougars helmet, Skyáana made it perfectly clear that she is confident in her choice. But here's the deal: this is Skyáana’s first pick for a game. She has no track record, so we’ll have to see how she does after Friday’s game! The prescient porcupine currently weighs 19 pounds and was born to parents Molly and Oliver who live in the zoo’s award-winning Northern Trail exhibit. Skyáana, whose Haida name means “to be awake,” is off public exhibit and will be featured in next summer’s new presentation programs on zoo grounds.